Whether you’ve just decided to grow a luscious beard, already have one that’s getting a little tough to handle or fancy a new beard grooming tool, we've assembled the full selection of the best beard trimmers for 2018 from all the major brands. 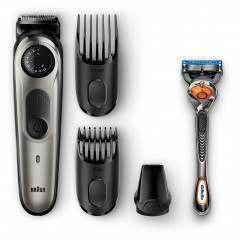 Chosen for their mix of styling capabilities and at a range of budgets, each beard trimmer offers great performance and will enable you to style your beard to your needs. Top Tip: If you maintain a beard and have never tried a beard soap or oil you're definitely missing out, be sure to take a look at our beard oil in the beard care section for plenty of choice and an explanation of the benefits. For more information on living with a beard, our guide to the modern man's beard is also a useful and informative read. Whatever the length, pruning is essential for a well-groomed beard and a regular trim will maintain your chosen shape and remove any split ends. 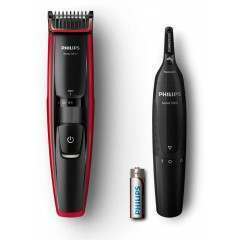 At Shavers we have selected the best beard trimmers and clippers on the market, so you can ensure your beard or designer stubble looks exactly how you like it. Growing a beard takes time and patience and it’s not going to be magnificent from day one. Facial hair grows at different rates and in different directions so you’ll need to wait a while for it to bed in and get an even coverage. When you first start growing, leave it untouched and untrimmed for the first 4-6 weeks. As tempting as it is to trim and style before then, you will just prolong this initial phase. While you may not initially be trimming the main bulk of the beard, around the edges, your jawline or neck may need some tidying up from day 1. Having a good quality beard trimmer to hand, even at this early stage will make it much easier to maintain a respectable look at all times. 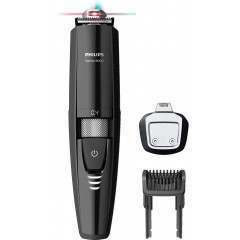 Set to its lowest setting, the beard trimmer can remove any hairs where the beard extends too far down the neck and create a nice clean edge and start to build out the beard shape. Right now there are many beard trimmers on the market. However, choosing a beard trimmer needn’t be a tough job. Even entry-level models include very useable features and cutting lengths, although as you move up in price, so does quality, performance and the quality of the experience. Most trimmers offer similar cutting lengths, allowing you to trim down to 0.5mm with the comb removed and up to around 10mm with the comb fitted. However, the available length settings between these two extremes can be a point of differentiation. 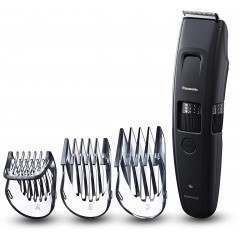 Some trimmers have a range of separate, removable combs that cut to a specific length. 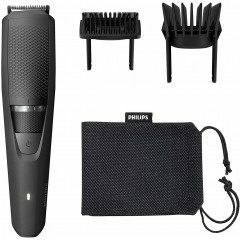 Others have a single adjustable comb which you can normally adjust in quite small increments, often in 0.5mm or 1mm steps. An adjustable comb such as this gives you a lot of versatility to find your perfect cutting length, or quickly change the length for different sections of your beard or facial hair. 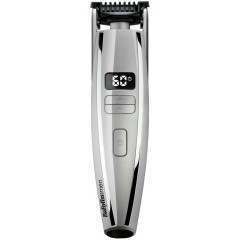 Much like most electric shavers, beard trimmers are overwhelmingly rechargeable only, allowing you to trim untethered. When buying a rechargeable device, you should pay attention to the charging time and the running time. Generally speaking, a shorter charging time is preferable, the ideal being 1 hour to full charge. 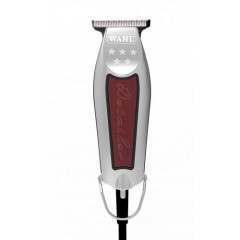 A longer charge time isn’t too inconvenient as you tend to charge overnight or between trims but you will find 1 hour is mostly the standard on mid to higher end trimmers. 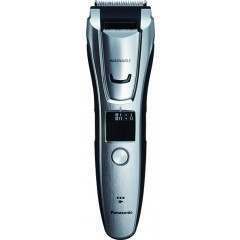 Compared to charging time, running time will have more impact on your experience with the beard trimmer. 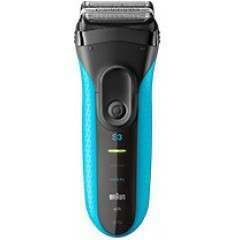 The longer the better and the less likely the trimmer will run out of charge during use. 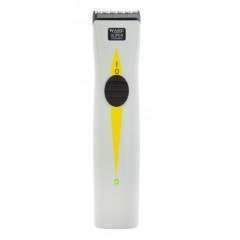 If the trimmer has a lithium-ion rechargeable battery you will find it offers the best performance in terms of constant power delivery right until the battery is flat. Lithium batteries do tend to be reserved for the higher end models though, below this you will find NiMH batteries are more the norm. 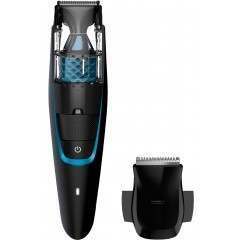 Another trend that is coming over from electric razors is the ability to use the beard trimmer either wet or dry. 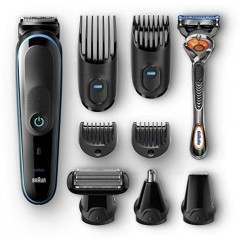 To be honest, we don’t see too much benefit in using the trimmer on a wet beard or in the shower as it can make the beard hair harder for the trimmer to capture and cut. However, it does make it much easier to clean the trimmer following use by rinsing it under the tap. Ultimately, wet and dry is about flexibility and convenience.